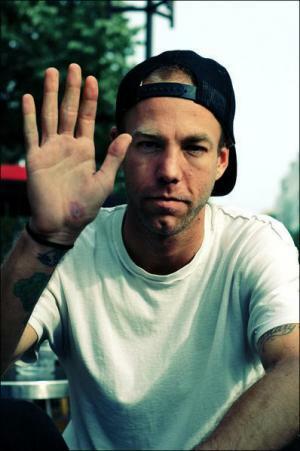 Andrew Michael Reynolds was born on 6 June 1978, in Lakeland, Florida USA, to Laura and Paul Reynolds. He is is a professional street skateboarder, best known as a co-founder and owner of the skateboarding company Baker Skateboards, and a partner in distribution company Bakerboys Distribution. A famous skateboarder, how wealthy is Andrew Reynolds at present? According to sources, Reynolds has acquired a net worth of over $10 million, as of mid-2016. His wealth has been earned during his career as a professional skateboarder, as well as through his skateboard-related business ventures. Reynolds grew up in Lakeland, along with his two siblings. He began to skate at the age of nine, being influenced by Powell videos. He turned pro in 1995, joining the Birdhouse skateboard company owned by the famous professional skateboarder Tony Hawk. In 1998 Reynolds was featured in the Birdhouse video “The End”, covering footage from the Bro Bowl in Tampa. The same year he won Thrasher Magazine’s Skater of the Year award. The following year Reynolds left Birdhouse to start a skateboarding company called Baker Skateboards with friends Jay Strickland and Andrew Barglowski in 2000, with Reynolds serving as the company’s CEO. It focused on selling products such as skateboard decks, soft goods, accessories and wheels, under Blitz Distribution. The business turned successful quickly, becoming a top-selling skateboard brand in the area. His net worth was well established. In the meantime, Reynolds teamed up with professional skateboarders Jim Greco and Erik Ellington, so in 2012 he ended his collaboration with Blitz, and the trio started their own company called Bakerboys Distribution, to distribute their Baker brand. Over the following years, the company greatly expanded its business, and aside from Baker, Bakerboys Distribution is now home to seven more brands: Deathwish, Shake Junt, Heroin Skateboards, Palace Skateboards, Hammers Skateboards, Death Lens and Ashbury Eyewear. Reynolds serves as the company’s principal. In addition to Bakerboys Distribution, the team also started another business in 2007, a new sunglasses company called Brigada Eyewear in North Hollywood. All have added to Reynolds’ net worth. Further, in 2006 in collaboration with Sole Technology, the owner of the Emerica shoe brand, Reynolds launched a skateboard clothing brand called Altamont Apparel. He later started another collaboration with skateboarding shoe company Emerica, releasing a number of signature shoe models, intensifying his wealth. In 2010 he was featured in the DVD release of the Emerica skateboard video “Stay Gold”, which brought him Transworld Skateboarding magazine’s award for “Best Video Part” in the following year. The magazine has also ranked him the in the top ten of most influential skateboarders of all time. In recent years, Reynolds rides for Emerica, Baker, Independent, Baker Wheels, Altamont, Shake Junt and Nixon. Reynolds’ skating profile has been featured in many video games, including the original “Pro Skater” by Tony Hawk, and its numerous sequels, as well as in EA’s video game “Skate 3”. He has also been involved in the film industry, starring as ‘The Skateboard Kid’ in the 1993 film “Cop and 1/2”, and then in the 2000 short film “Shadows”. He was also a stunt performer in the 2001 documentary “Collage”. When it comes to his personal life, Reynolds is now divorced from Christiana, with whom he has a daughter. In his spare time, he plays music with his band called The G.O.A.T.. The skateboarder went through difficulties during his early twenties, as he struggled with alcohol and drug addiction. He has been sober for 10 years now. Profession Professional street skateboarder, co-founder, owner of "Baker Skateboards", "Deathwish brand—Baker's distribution"
"Cop and a Half" "Epicly Later'd" (2007) "Free Lunch" "Fuse Celebrity Playlist" "Ohio Skateout" "Skate Like Andrew Reynolds" (2013 "Street League Skateboarding (SLS)" (2014) "The Church of Tom Penny" $10 million 1998 2011 Actor Andrew Barglowski Andrew Reynolds Andrew Reynolds Net Worth Casting Director Emerica video: "Stay Gold" Erik Ellington Jay Strickland Jim Greco Madness Music video Skater of the Year award (Thrasher Magazine's Tony Hawk's Pro Skater Transworld Skateboarding magazine's award ("Best Video Part"